The original Shirley Temple cocktail was supposedly created on the star’s 10th birthday at a Beverly Hills Restaurant. The original cocktail (well, actually mocktail) consisted of Ginger Ale, a splash of grenadine and maraschino cherries. The irony of the original drink is that Shirley Temple (Black) never really liked them. She was not an avid drinker and disliked the idea of a cocktail aimed at children and she thought the drink named in her honor was sickeningly sweet. She didn’t want her name associated with the drink. Because of that many restaurants and bars started using the name “Kiddie Cocktail” to describe the drink. Over time, the recipe has evolved, and now that lemon line soda has replaced ginger ale in most kid’s, there are quite a few variations on the sugary sweet original. Today I’m going to share 5 variations on that original grenadine and ginger ale original. Really how you serve a Shirley Temple depends on what you have on hand, what you kids like and just how sweet you want the drink to be. Fill your glass with Ginger Ale Add two tablespoons (give or take) grenadine syrup slowly to the glass. 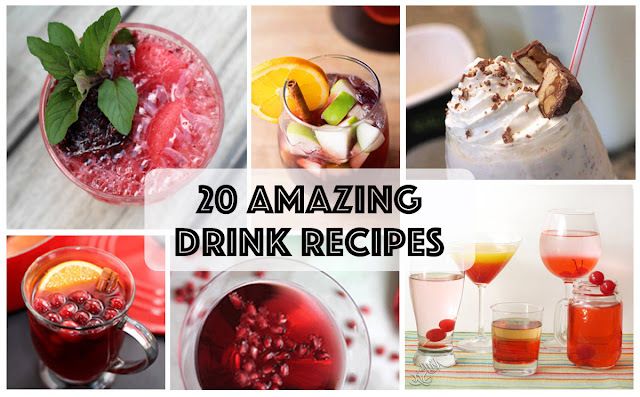 (Make sure you are using an ALCOHOL FREE version of grenadine). Add a maraschino cherry and either serve with distinct layers, or use a stir stick to make the entire drink pink. The key to a good Shirley Temple is the Maraschino cherry. The beauty is that if you don’t have grenadine, you can substitute the cherry syrup that the cherries come with to sweeten and color the drink. You use a spoon to add it directly to the glass. And the add either Ginger Ale or Lemon Lime Soda (Sprite, 7 UP, Sierra Mist etc.) The garnish is the best part. Either drop a few cherries into the drink, or skewer a few for the edge of the glass. Some variations of the recipe also use orange juice. To me this seems more like a mocktail version of a Tequilla Sunrise (sans the Tequilla) but it would still fall into the “Kiddie Cocktail” category so I’m including it here. Start with a cherry on the bottom of the glass (a tapered glass like a martini, wine or hurricane glass works best) and add some orange juice. You can top the juice with soda water, lemon line soda or ginger ale, or use all Orange Juice. Next carefully spoon either cherry syrup or grenadine into the center of the cup SLOWLY.. allowing it to sink to the bottom of the glass to form layers. A similar variation on this version of the Shirley Temple uses Lemonade in place of the orange juice. Sometimes these drinks are garnished with a sliced orange or lemon as well. The final variation of the Shirley Temple I’m sharing today includes sparkling mineral water, with or without syrups (this is a good way to keeping the sugar levels down) in lieu of the Ginger Ale or Lemon Lime Soda. This is the cleanest and least sweet version of the drink. And of course.. if you think a cocktail isn’t really a cocktail without some alcohol.. any of these drinks can be turned into a “Dirty Shirley” by adding one ounce of vodka to the mix! Step 3 Add slowly to create layers or mix to color the entire drink. Step 5 Serve well chilled.